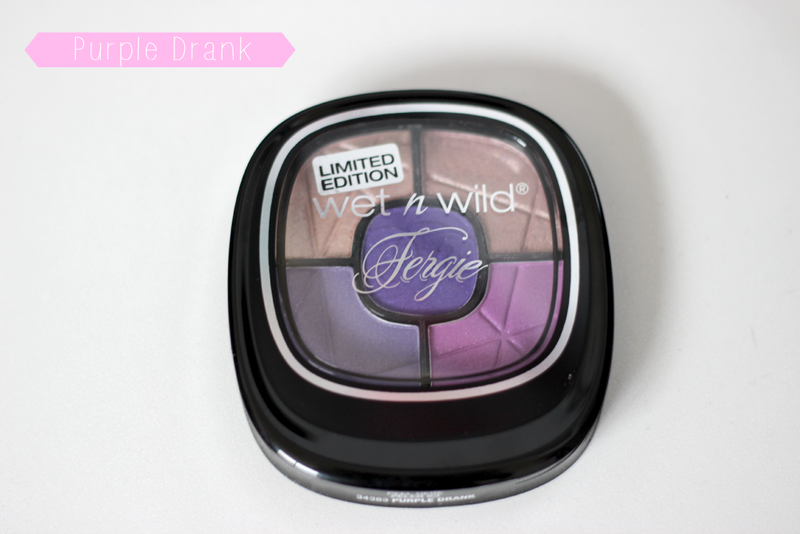 This palette was the palette that I was most excited for when it came to the Wet N Wild Limited Edition Fergie Summer collection of 2014. 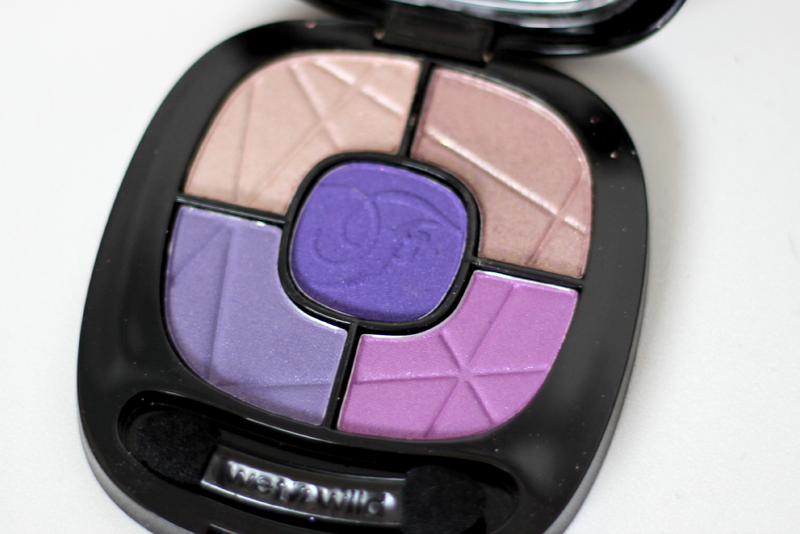 This palette is in Purple Drank, which I think its perfect. Everything from the name to the colors, it just screams my name. Purple Drank is a mixture of beautiful purples and champaign colors. I do not own any palettes that look like this which I was most excited for because the color scheme was perfect. Plus including 3 purples, it just ties together really well. Going from left to right in a circle motion we have a shimmery light champaign color that kinda reminds me of All That Glitters by MAC, its just a tad more lighter. Then next to that we have a nice medium pink/champaign color with a lot of shimmery. Then starting with the purples we have a beautiful medium purple with a hint of pink which is a matte shade with a tiny bit of shimmer, so its also and almost matte shade. 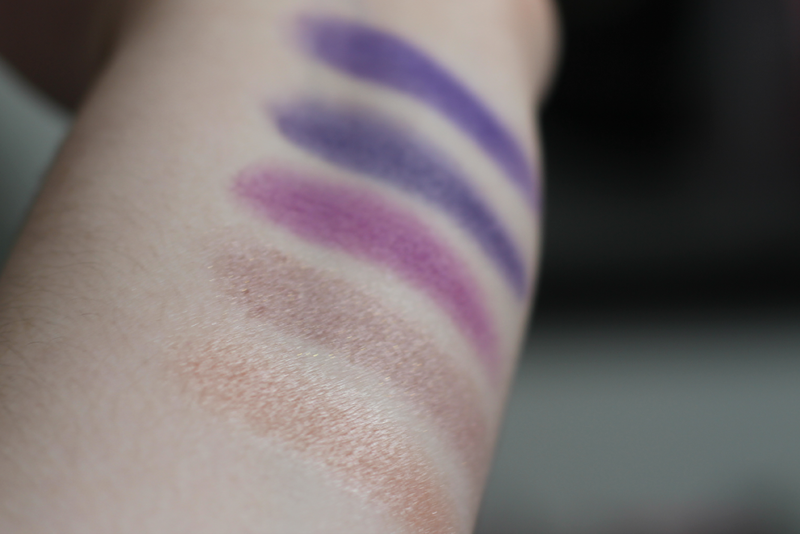 Then we have a light purple which is also an almost matte shade, there is just a tiny bit of shimmer. Then lastly we have a dark purple which is also a matte shade. The colors were just perfect, and I found all the shades to be very pigmented compared to Blue Eyed Soul. I love the color combination and this palette I highly recommend. I would give it a A rating. haha, love the name... all I can think about is "I've been drankin" (I don't think Drunk in Love is ever going to stop being stuck in my head!). 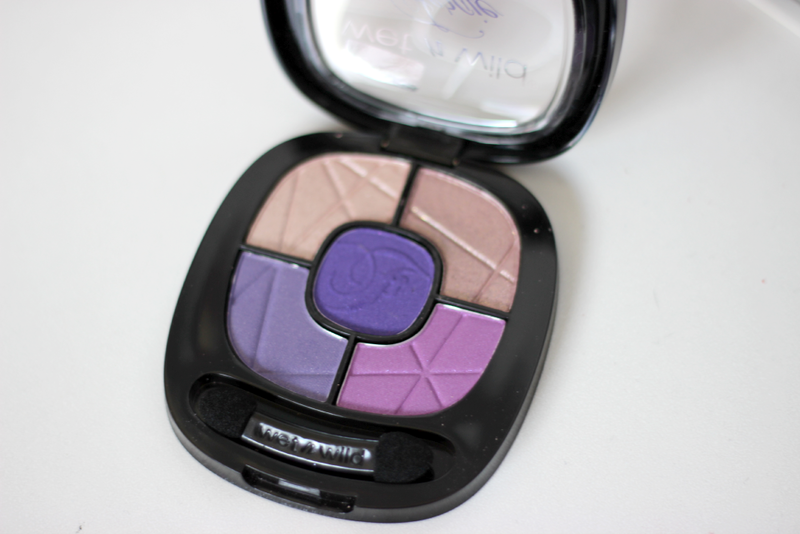 Great swatches and review and just lovely blog in general!! The swatches are so pretty! Agreed! I was super impressed!